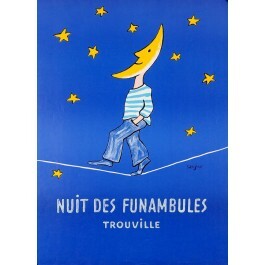 A whimsical poster realized by Raymond Savignac (1907-2002) for his beloved Trouville, in Normandy. 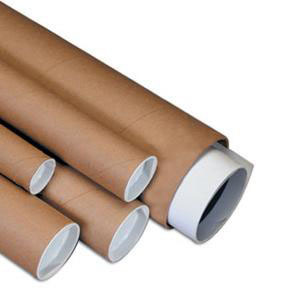 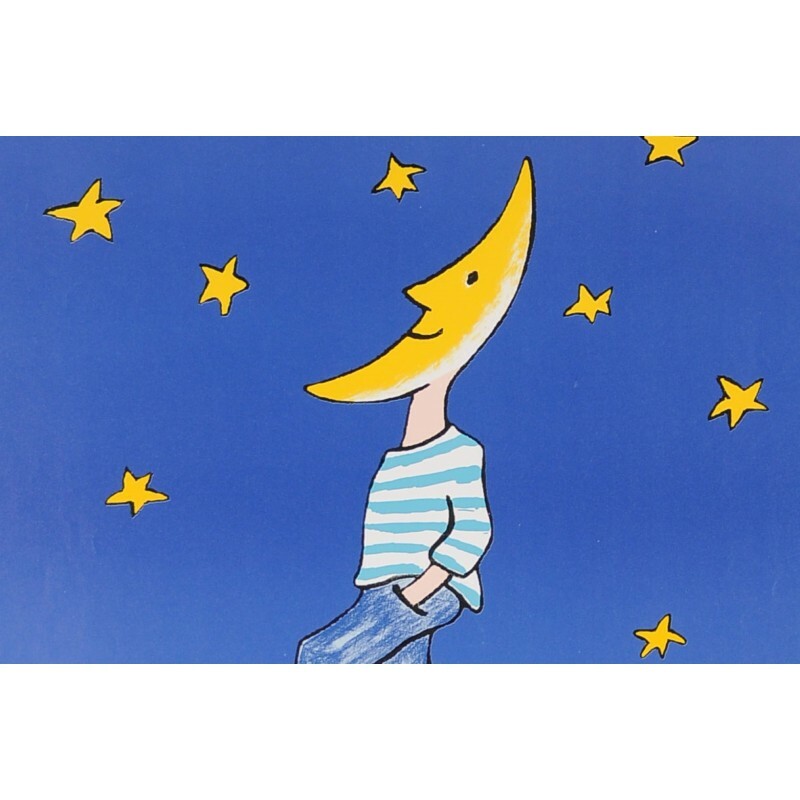 This poster displays Savignac’s humorous simplicity, his trademark throughout his long career. 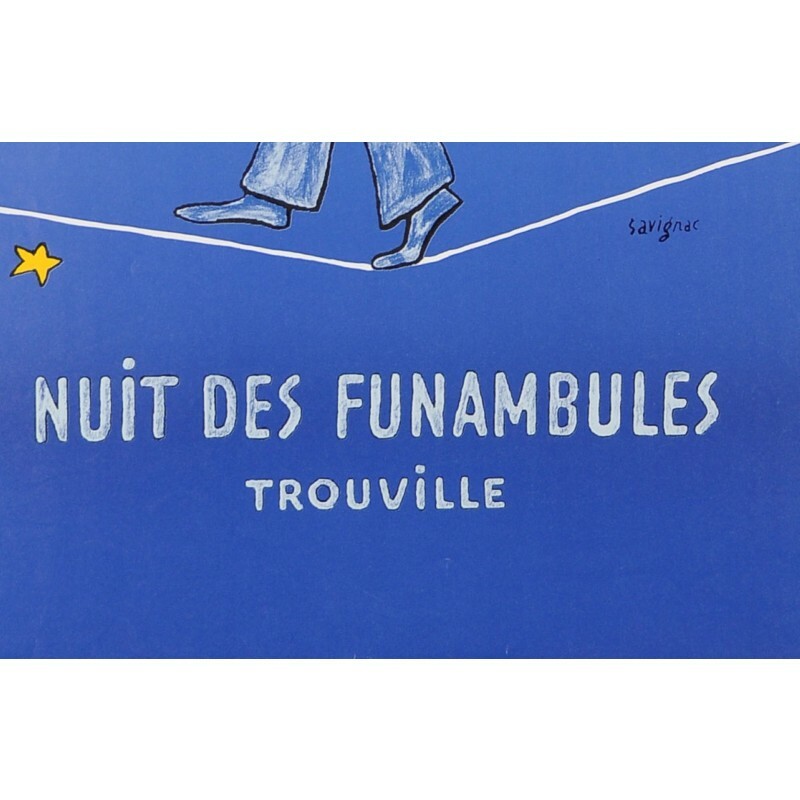 The Nuit des Funambules (night of the tight rope walkers) took place in 1985 in Trouville and had a repeat in August of 2012, 27 years after its initial success.